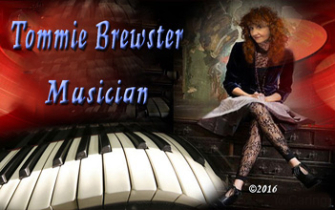 I have been a musician all my life, since reaching up to the piano keys before age 4 and going on to study classical piano and gain a doctorate in music from the Royal Academy of Music in London, England. and I create, sing, play and produce my own original music and spoken word. album all available from various links on the homepage or from the Download Music page. by the Independent Broadcasters’ Association. 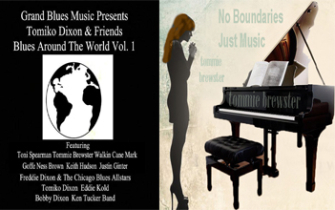 My first blues release on Reverbnation took me to #1 nationally where I remained for 11 years - and in 2016 was honored to be selected for inclusion by the Willie Dixon family on a blues compilation album 'Blues Around the World'. I also have been broadcasting blues shows and interviews for eight years and I also produce a World Music show, on several radio networks in the US, UK, Canada and South America. 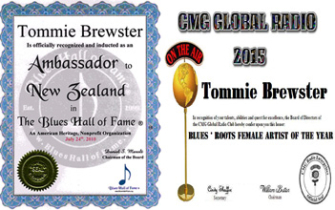 You can find more info on my 'Tommie Radio' page here. Music has no boundaries, only those we create - please join me in my World of Music.